YOU WILL NOT GET PAID FOR YOUR EFFORTS!!! Here is yet another news site that was brought to my attention thanks to one of my subscribers on my YouTube channel and guess what? It looks damn near identical to other news sites I have reviewed in the past. So yet again I went to research this site as I have done along with the other news sites I have reviewed and what do you know…It is a 100% scam! Just like all of the other news reading sites that I have had the unfortunate pleasure of reviewing on this site, Done News looks exactly like other sites I have reviewed such as News-season.com, News-prof.com and News-doc.com. Just like the others, Done-news.com offers a unique opportunity to read the “news” and earn cash doing so. They also offer a great affiliate program where you can earn up to $35 per referral. While that may seem great truth is that it is a 100% scam. YOU WILL NOT GET PAID FOR YOUR EFFORTS!! How Is Done-news.com A Scam? One of the reasons that I know this is a scam is based on the fact that this site looks identical to other news reading sites I have reviewed in the past and all of these others sites have had a reputation of not paying its affiliates for their efforts. Just look at the similarities between Done-news and all of the other sites that I have reviewed in the past. 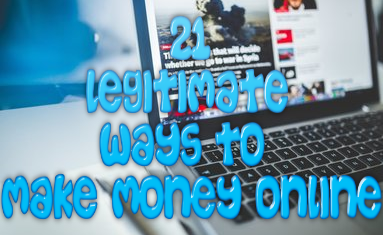 If you have had the chance to go through the website yourself, then one of the things that you will notice is that the supposed “news articles” that you have to read in order to make money are only about a sentence or two in length. Can anybody tell me how you can possibly earn just $7-$9 just by reading a sentence or two? Come on….even I know that this is ridiculous. Even if it was truly that easy, the owner of this website would lose money in the end. 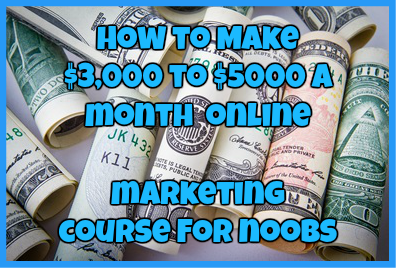 Sorry, it is not THAT easy to make money online. The only details that you have to put in are your email information, name and paypal email address. If this site was a legitimate affiliate program then you would have been asked for your address, tax ID number and working phone number. Reputable companies ALWAYS ask for this kind of information and the fact that this company does not indicates a huge RED FLAG to how reputable it is. Just like with the other news sites I have reviewed that are owned by the same owner, this website is known for being a portal to collect Paypal email address which can then be used at a later date to steal money from people’s paypal and bank account. This has become a prevalent problem so much so that Paypal and ScamAdvisor have classified these sites as phishing scams. This is something that you definitely have to watch out for. I have had enough of these news sites because they are all SCAMS! Just like all of the rest, you will not get paid from these sites, you will waste your time and energy promoting something that is not going to give you the earnings you deserve. I still don’t understand how people are buying into this scam when there are reviews out there like this one. Just save yourself and don’t fall for this scam. Have you fallen victim to the Done-news.com scam? If so, I would love to hear from you. Just drop me a detailed comment below! ← 48 Hour Profit Express: A Straight Ticket to Nowhere! 250 PayDay.net Review-Can It Really Help You Earn $250 a Day? can you give provide recommendations trusted bussines as PTC,PTR and other job online. I want to like you make money from the internet.. I am sorry you have not gotten paid. This is a constant habit of these sites and it is one that needs to be stopped ASAP.